Healing Living Systems drives climate stability through agroecology. Agroecology includes shared fulfillment, social justice, and food democracy. Suzan Erem is the President and co-founder of the Sustainable Iowa Land Trust, launched in January 2015 to permanently protect land to grow healthy food. Suzan graduated from the University of Iowa in the mid-1980s with degrees in Journalism and English, but soon learned she had the ability to bring people together around common goals. She’s been doing that ever since. Job opportunities dragged her out of Iowa but she returned in 2010 with her husband to witness a dramatically different landscape. At the same time local food was more popular than ever, young people could not afford the land to grow that food on. She put her organizing skills to work, and two years later leaders in agriculture, development and planning from around the state joined together to create SILT. Theodosia Ferguson currently serves as the CEO of the California social benefit corporation, Healing Living Systems. Theo’s current focus is creating climate stability in agriculture. She has been an active investor and advocate in the infrastructure of the community food, farming, and finance space for 12 years and is a founding member of Slow Money National, Slow Money NoCal, and SOIL—Slow Opportunities to Invest Locally, Slow Money NoCal’s investment group. For more than that dozen years, Theo has served as an advocate, entrepreneur, and investor in public dialogue through undertaking deep inquiry into the impacts of food, farming and finance enterprises and their true cost pricing and true cost accounting metrics. This inquiry addresses the dynamics of the capitalistic economic system. 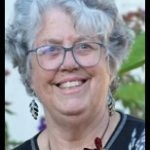 She is a long standing member of the Social Investment Forum in addition to a developing a broad local food farming, and finance infrastructure portfolio through local relationship driven investments in California and Iowa in collaboration with SOIL and Slow Money. Theo is a frequently published author in Green Money Journal, the publication affiliated with the Social Investment Forum. As an entrepreneur, Theo founded Export Profiles, a renewable energy export venture to South and SE Asia and PRC, and founded a California shareholder-owned flexible purpose corporation, Vital Systems, Inc. that supported food, farming, and finance enterprises, entrepreneurs, and investors. Theo founded and supported not-for-profit corporations, Bay Area Energy Action, Exploratorium, and ISAST. Theo has held senior positions in the City of Nurenberg, Germany, the National Science Foundation, and served on the staff of California Assemblyman Leo Ryan, and the National and Northern California TPMG offices of Kaiser Permanente. EDFC is a 501c3 Community Development Financial Institution (CDFI) with a mission of “Connecting money and ideas with entrepreneurs to create sustainable prosperity in Lake and Mendocino Counties.” EDFC provide economic development financing and incubates projects like woody biomass utilization, small scale meat processing, broadband, and local investment to create jobs through entrepreneurship. 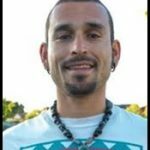 Gerardo Omar Marin serves as the Curriculum Designer and Director for Self-Actualization of Marginalized Community Members and Food Democracy for Healing Living Systems’ the Local Food Shed Resilience Program. Gerardo has been serving as the co-Director of the national youth group, Rooted-in-Community, for many years, and currently serves as the Director of the Pollination Project—a youth empowerment program. 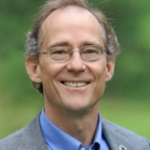 He has served as an the international project manager of Caminos Hacia la Salud, support for the heading of Lake Atitlan in Guatemala, and Systems to Heal the Climate, a program that builds a global healing network to create climate stability now integrated into Healing Living Systems. Mission and Service Role: To build true wealth for our clients and ourselves by guiding human creativity and financial capital to optimize the conditions for growing sustainable communities. We do this by helping our clients understand their true Dharmic Destiny Path and guiding them to invest their money in ways that reflect their values, personally inspire them, and actualize their financial goals. In addition, they can expect to work with like-minded individuals committed to bringing about positive change on the planet. We’re committed to modeling the systemic change we perceive by doing our part in building true wealth on the planet by participating in, and working through, the field of investment. We also affirm our responsibility to evolve this field from within, as active participants of a system whose ultimate purpose is to be in service to the common good. In my role as Co-Director of the non-profit Sustainable Living Coalition: I am dedicated to enhancing the conditions for a renewable energy powered demonstration of community food, farming and finance infrastructure through investments, community activism, and convening. In 2016, this includes a convener role in Fairfest 2016’s Planetary Local Food Summit, an event series that invites community members of Fairfield, IA & beyond to participate in visioneering an integrated, economically vibrant Local Foodshed Resilience Program. (LFRP) The goal of adopting the LFRP is to establish a transferable Proof of Concept that can support other communities in the design of their own solutions towards local food shed resilience. 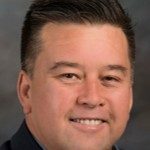 Loren Valliant serves as the CFO of the California social profit corporation, Healing Living Systems, Inc. He has lead and supported Business-Savvy Bookkeeping (B-SB.com) for ten years. His clients have covered the food spectrum, from community supported agriculture through co-packing and processing to retail baking and cafes. He served as the CFO of Vital Systems, Inc. a California shareholder-owned flexible purpose corporation.